Dr Agravat One Day Dental Implants Clinic in Ahmedabad since 1999 is the first center in the Gujarat offering the “Same day teeth implant & Instant Smile Makeover” and transform people smile and life with busy lives who want best dental implants also teeth fitted in the one day and instant dental smile makeover in same day. Ex Lecturer at Darshan Dental College And Hospital, Loyara in Udaipur, Rajasthan and Mahadevia Dental Collage & Hospital Ahmedabad, Gujarat. Former President of Indian Dental Association (IDA) and MTV Medical Association Ahmedabad India. Government Dental Collage & Hospital Dean Dr. K H Shah, Ahmedabad. Accelerated Dental Learning Center (U.S.A.) in year 2006. If you have loose or missing teeth, wear uncomfortable dentures, then our Teeth-in-an-hour ™ Implants procedure will transform your smile & life. This scientifically proven technique by Nobel Biocare Germany gives you a permanent, worry-free solution that looks, feels and works just like real teeth. 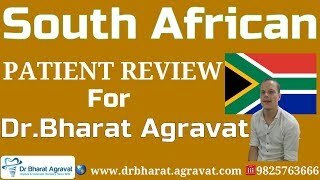 Please contact today Dr Bharat Agravat! With over 18 years of dental experience and experience with implants, we are experts in all facets of dentistry. Our clinic can easily accept the customers with credit cards also Easy EMI option and create the history of cases for each. All our Implant surgeries are furnished with state of the art equipment and maintained at the highest standards. Dental tourism in Gujarat, India has been popular for many years now, particularly with Americans and Australians. Procedure Fixed teeth in 3 days with Basal Dental Implants …. Day 1 : Fracture root piece removed and the implant will be placed under local anaesthesia during the same surgical visit. The procedure will take around 1 to 2 hours and Measurements/Impressions will be taken for the implants on the same day. A fixed acrylic crown is fabricated on the same day of surgery. Day 2 : Metal trial for PFM will be checked for proper fitting. Day 3 : Permanent Teeth fixed. Bite Equilibration will be check and correct. The timeline for Permanent fixed teeth in 3 days is thus completed within one trip. Removable dentures rest on my gums, affecting jaw bone wear and leaving space that can cause problems such as 👉 loose fit, 👉 slipping, 👉 clicking sounds and ulceration 😭. 👌Ball and Socket Implant supported dentures are attached in the mouth through attachment to dental implants. The denture has sockets that line up with balls placed on dental implants in the jaw bone. The balls and sockets fit together for an extremely secure fit. Unhappy with lost, missing teeth due to accidental injury and not interested in fix dental bridge because grinding of adjacent natural healthy teeth that i would like to replace teeth? 😷 Major surgical procedure involved? ✔ Dr Bharat Agravat help me, He using a high-tech dental implant procedure to give me less pain and hassle-free same-day dental implants and now a beautiful gorgeous smile once again! Affordable dental tourism. I went through a lot of options out here and abroad for my dental implants supported fix denture. But they were prohibitively costly looking at the total cost with ceramic teeth. Dr Bharat Agravat makes you experience at ease and deliver amazing dental work. It can be a bit of a chance to choose a implant dentist when you do not live in the area or live in Queenstown New Zealand, like I do. I really appreciate the efforts they have put in to get my incomplete life back on track so that I can open my beautiful smile. Dr Graham Carmichael is a faculty member of the Brånemark Center in West Perth and has completed a Doctor of Clinical Dentistry in Prosthodontics from the University of Sydney. He graduated from the University of Western Australia School of Dentistry with Honours and is a Fellow by examination with the Royal Australasian College of Dental Surgeons. He also has a Bachelor of Science from the University of Western Australia with a double major in Antomy and Biochemistry. As well as maintaining his private practice, he is a visiting lecturer at the University of Western Australia and a consultant at Princess Margaret Hospital. He is a committee member of the Australian Prosthodontic Society, and a member of numerous dental societies. He has lectured nationally and internationally, and is actively involved in the teaching and education of surgical and prosthetic implant therapy. His research interests include immediate placement and loading, influence of prosthesis design on treatment outcomes, and patients’ response to implant treatment. Indian Implantologist Dr. Bharat Agravat joined the two-day long workshop on advanced All-on-Four® Dental Implants and received certificate from internationally renowned Dr. Robert Schroering DMD from Louisville, Kentucky (USA). The workshop provides this Gujarat, Ahmedabad based dentist opportunity to learn, share, peer-to-peer training for advanced All-on-Four® Dental Implants Live Surgery by world leading dental specialist. “All-on-4®” bears the meaning of “upper/lower jaw all teeth on only four dental implants” is a revolutionary innovation of dental science that is a comfortable, short and easy procedure to get fully-functioning, new teeth in a same day. 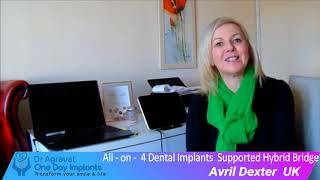 “All-on-4” surgery helps people improve appearance by dental implant supported hybrid dental bridge look, feel and function like natural teeth. This two days workshop was held in New Delhi at DANTAH Safdarjung Enclave, 110029 that had sessions which are comprised of live surgery, lectures, hands-on exercises and interactive discussions. Lectures cover the following topics: demographics & impact of edentulism, patient evaluation & treatment planning, treatment options for edentulous situation, graft less solutions, biomechanics & principles of All-on-4, Surgical protocol and fabrication of temporary& final prosthetic options. Hands-on exercises will cover surgical placement of dental implants and multiunit abutment. Dr Bharat Agravat is providing the “All-on-4” dental implants in Ahmedabad, Gujarat with an industry leading success rate for more than 18 years in his field. Implantologist Dr Bharat Agravat Leading Provider of Fix teeth, Fix Hybrid Denture by All-On-4® dental implants surgery. Transform your smile with advanced implants dentistry solutions. Dr. Robert Schroering graduated from University of Louisville Dental School 1987. Since 1993 he has limited his practice to dental implant surgery. He has been able to build a large referral base of over 125 doctors and has placed over 10,000 dental implants. He is a fellow with the American Academy of Implant Dentistry, diplomat of the International Congress of Oral Implantology and member of the Academy of Osseo integration. He is adjunct faculty with the University Of Louisville School Of Dentistry. Dr. Bharat Agravat is a pioneer in the field of Implant surgery, having placed many of dental implants since 1999. Modernization & pleasure in Implant Dentistry the Dr Bharat Agravat Dental Implants Clinic Ahmedabad India is known for its modernization and surgical expertise, backed by more than 18 years of dental implant surgery. Dr. Bharat Agravat has been a full-time practitioner since 1999, and continues to advance the cosmetic implants clinic’s goal to improve treatment outcomes for his patients. Gujarat based Dr Bharat Agravat learned All-on-4® surgical protocol, Zygomatic implants and immediate function course from Dr Paulo Malo, Lisbon-based dentist who was in India for providing training to dentists and dental professors on his pioneering concept “All-on-4®” in dental implants. Two days well spent for learning also intense training, live surgery and hands on at Nobel Biocare Learning Center in Powai Supreme Business Park, Mumbai. This two-day course was comprised of lectures, hands-on exercise, live surgery and interactive discussions. Lectures covers topics including: demographics & impact of Edentulism, patient evaluation & treatment planning, treatment options for edentulous situation, graft less solutions, biomechanics & principles of All-on-4® ,Surgical protocol and fabrication of temporary& final prosthetic options . Hands-on exercises covers surgical placement of implants and multiunit abutment on models. Dr Bharat Agravat also participated one to one session in Master class on Immediate Extraction & Placement & All-on-4® treatment concept with Immediate Function by Prof. Paulo Malo held at ITC Grand Central in Parel, Mumbai, Maharashtra. “All-on-4®” stands for “all teeth on only four dental implants” is a pioneering invention by Prof. Paulo Malo that is a comfortable, short and easy procedure to get fully-functioning, new fix teeth in a short amount of time. “All-on-4®” helps people improve appearance by dental implant supported teeth look, feel and function like natural teeth. Dr Bharat Agravat is providing the “All-on-4” dental implants supported fix hybrid denture in Ahmedabad, Gujarat with an industry leading success rate for more than 18 years in his field. Dr. Bharat Agravat offering this procedure and works with All-on-Four® cases routinely with patients from all over the world. Dr Bharat Agravat’s Dental Implant Center in India is fully equipped with imaging equipment, an on-site lab and an experienced team to provide you with the best dental implants, hybrid fix denture, hybrid dental bridge and dental care possible. Prof. Paulo Malo founded the MALO CLINIC in 1995 Lisbon, Portugal where he developed the MALO CLINIC Protocol (surgical techniques and innovative products such as the All-on-4® treatment concept, a new Zygoma implant and protocol, the Nobel Speedy implant and the advanced technical solution MALO CLINIC BRIDGE), recognized worldwide by the dental and medical community as setting a new standard in Fixed Oral Rehabilitation. Dr. Bharat Agravat is a pioneer in the field of dental Implant surgery, having placed many of dental implants since 1999. Modernization & pleasure in dental Implant Dentistry the Dr Bharat Agravat Dental Implants Clinic is known for its latest things and surgical expertise, backed by more than 18 years of dental implant surgery. Dr Bharat Agravat, India’s iconic cosmetic implant dentist, is the personification of natural flair and magnetic charisma coupled with an inborn talent in the field of cosmetic dentistry 17 years experienced and award winner brings to you wide and amazing range of Smile Makeover – helps to enhance beauty within you. Dr. Bharat Agravat is an experienced, award winner, qualified cosmetic and implants dental surgeon belonging from a well-known family of specialist doctors, The Dr. Agravat family physician.